Freezing fresh or store-bought vegetables is an economical way to enjoy produce after the peak growing season. 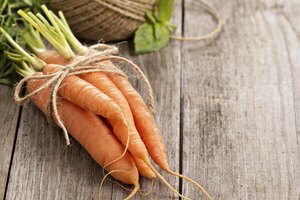 Baby carrots must be blanched before freezing to stop the production of enzymes, which could cause discoloration or loss of flavor and texture. 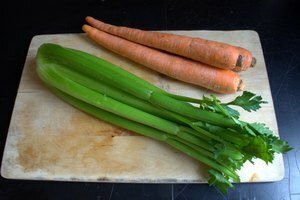 Consider how you will use the carrots -- whether in stews, casseroles or cooked whole -- to determine the amount of chopping needed before freezing. Carrots will store in the freezer for up to 12 months. When ready to cook them, just remove them from the freezer without thawing and cook until tender. Bring about 4 quarts of water to a boil in a large pot. Add up to 1 lb. of carrots to the boiling water. 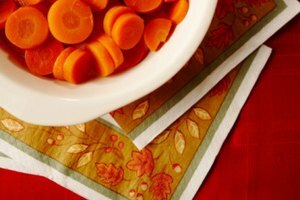 Baby carrots may be blanched whole or chopped, depending on how you intend to use them. 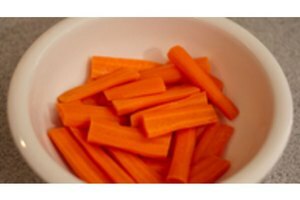 Boil carrots for 3 to 5 minutes. Plunge carrots quickly into the bowl of ice water for another 3 to 5 minutes. Remove carrots from the ice water. Drain and dry them well. Package carrots in freezer bags or containers, leaving 1/2 inch of head space and freeze. Enhance the flavor of cooked carrots with herbs such as spearmint, marjoram, thyme, basil, ginger root, chives, dill or parsley. 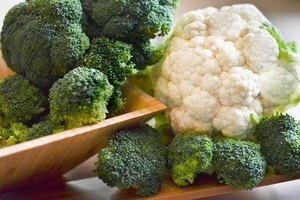 Use the same water to blanch all your vegetable to retain nutrients. Use it as vegetable stock for soups and other dishes.